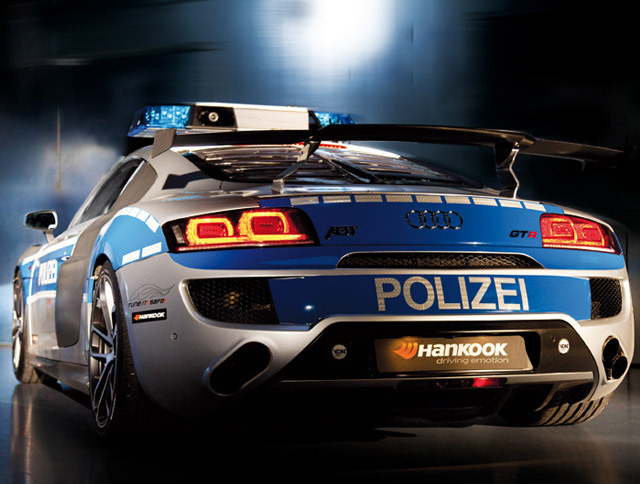 As part of the German initiative for "safe and serious tuning" known as Tune it! 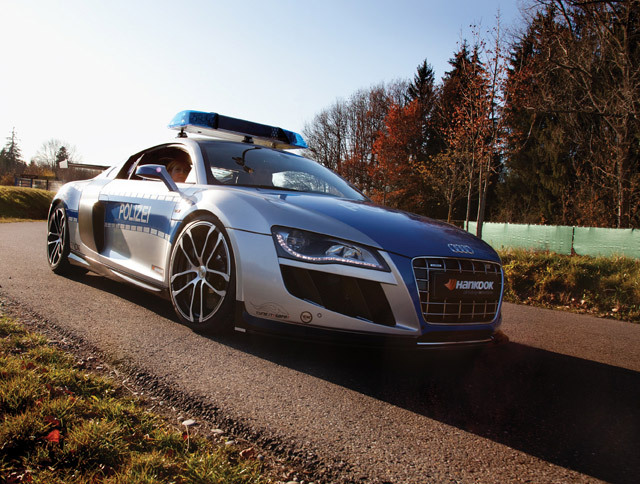 Safe!, renowned VW/Audi tuning firm ABT Sportsline has created a very special police car (or rather, Polizei fahrzeug). Based on the 640 horsepower ABT Audi R8 GTR, this year's campaign car turned more than a few heads at its official debut today at the Essen Motor Show. 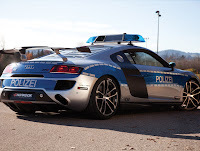 More info after the jump. 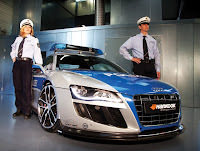 Underneath the Polizei-spec paint scheme, is a standard ABT R8 GTR (as if anything about the that is "standard"). Which includes a whole host of upgrades such as; 640hp engine tune, 19" ABT CR wheels, carbon ceramic brakes, sport exhaust, sport suspension, carbon fiber aero kit, roll bar and more. 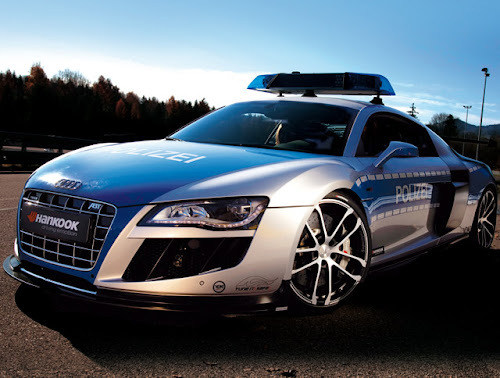 From there, ABT added Foliatec's "official police foil decor" and Hella RTK-7 police roof lights - all making for one police car we wouldn't mind being pulled over by.